Do you have hot and cold spots in your home or business? The is a fairly common issue with many Prescott HVAC systems. From ductwork issues to improperly sized furnace or air conditioning systems, BCS Heating and Cooling is here to help! While it may seem like a big problem, we would like to help you diagnose the issue, and fix them and increase your comfort level. Lack of (or improper) Zoning: Zoning your HVAC system divides your home into separate areas allowing you to set the air temperature in each zone. The system is composed of several thermostats that run special interchanges in the ductwork that work nonstop to direct the right amount of heating and cooling to certain sections of the building. Poorly Designed Duct Systems: Many hot and cold spots simply exist because the duct system isn’t sized correctly for the room that needs heated and cooled, or it’s poorly designed. We find this is fairly common in homes that were built before certain energy efficiency codes were implemented, or in buildings where the HVAC system was designed for a floor plan that has been changed and wall have been changed/moved. Leaky or Inadequately Insulated Air Ducts: Even with the most efficient system, your ducts may be the cause of your hot and cold spots. It’s common for the ducts in the attic or crawlspace to become leaky over time. You could also find your ducts aren’t leaking, but they’re not correctly insulated, this is a fairly simple fix. Improperly Sized HVAC Equipment: Hot and cold spots could be that the system was just not properly sized for the space. In commercial buildings where the floorplan has changed, or homes that have added some square footage with an Arizona Room, the Heating and Cooling system may be in adequate for the square footage. There are issues with the system if it is too large. This will cause the system to cycle too frequently causing an issue as well. No matter what is causing the hot or cold spots in your home or office BCS Heating and Cooling Repair in Prescott can help. 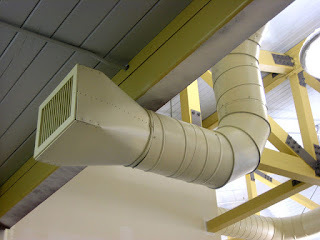 We are duct repair experts and have 18 years removing those uncomfortably temperate sections of your building. Schedule a consultation today. Call 928-445-9700.